If you've sent me an email recently, I haven't forgotten you. I'll get on to them next week. This is a link to the American public broadcasting system's program page. You can watch the programs free of charge. However, depending on what country you're in, some will work and some won't, and some are full programs and series, others are just highlights. There are many good movies, TV series and documentaries there, including one I will watch called Your money, your life. I'm guessing it's similar to the book Your money or your life. Who would have thought that toast would unite us as it did in my last post. I loved reading your comments because they made me feel like I was spending time with some wonderful people. Thanks for sharing your toast ideas. I'll try some of them. It was great to see some of the lurkers commenting too. Toast lured them out and that made me smile. Thank you toast - you did it again. 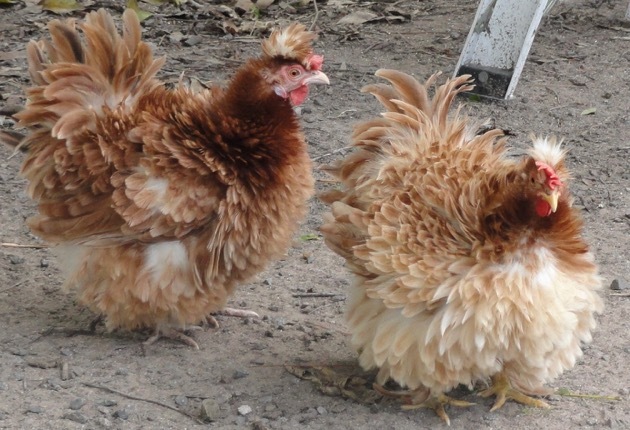 This is Tricia, on the right, with her cloak of exploding ginger feathers. Sadly, on Saturday, a fox killed our frizzle, Tricia. Tricia and her sister Kathleen have been with us for nearly four years. I noticed everything was quiet when I walked into the garden so I went into the chicken coop and found four chooks hiding under the nests. When I walked outside again, I saw the little frizzle body under the pecan tree. 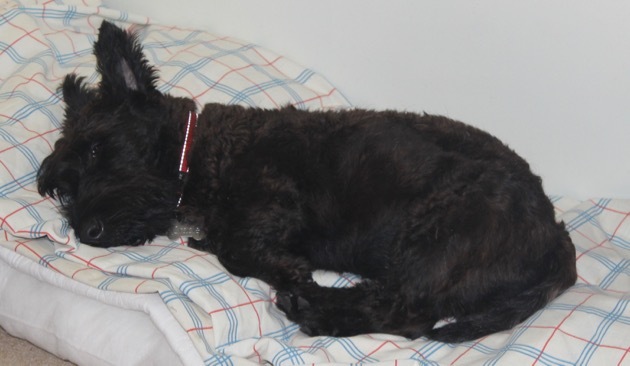 It's so sad finding a pet like that. I called Hanno and he found the other girls hiding in the palm trees. 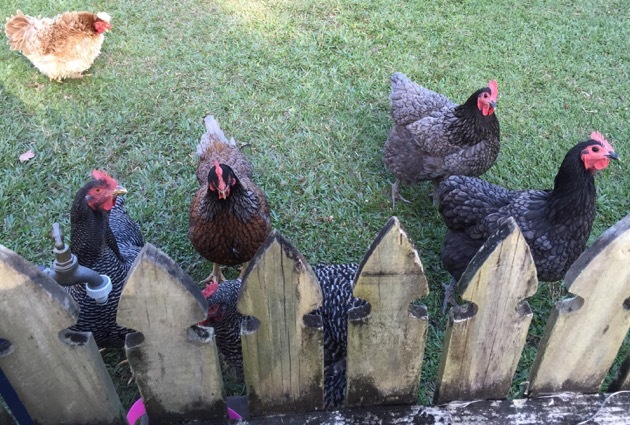 We were just about to go out for lunch with the family so we locked the girls in the coop and they happily stayed in there until 9am the following morning. At our family lunch on Saturday. Jamie was eating a burger, and Hanno next to him, fish and salad. I've blocked three faces above because I didn't ask if I could use their photo here. Yesterday was spectacular. The sun was shining, Jamie was here, I had some light gardening to do, lunch was leftovers and generally the day went very well. When I took a break I was knitting something for Eve's birthday, which was on Friday. I won't see her until next week so I'll continue knitting and hope to finish her little vest/shawl in a couple of days. 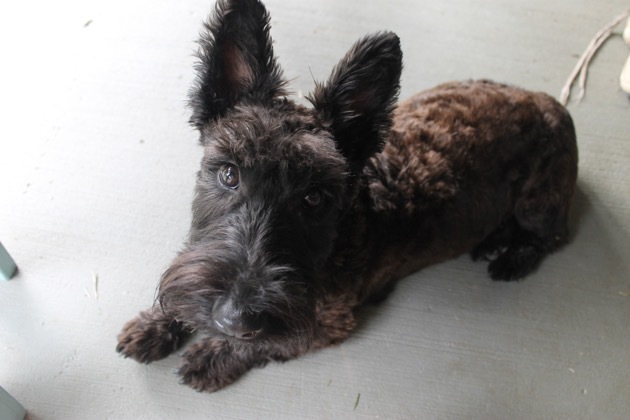 Our beautiful puppy Gracie is such a joy to be around. 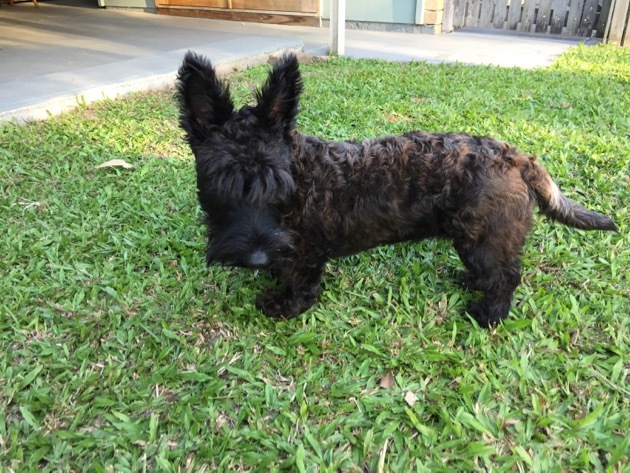 She loves Jamie but won't leave him alone so she's banished to the backyard most of the time he's here. Don't worry, she's well cared for out there. 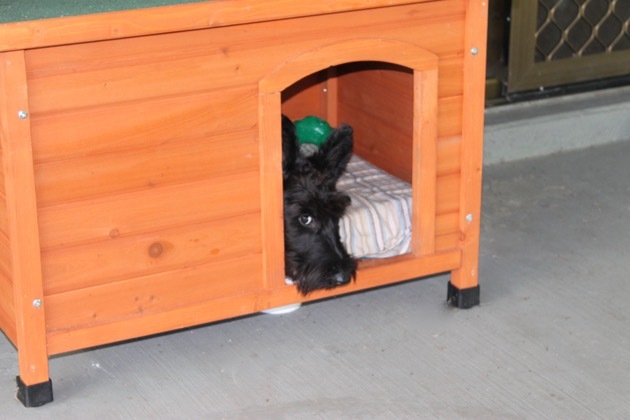 She has a little house just outside the back door so she sits in there, quite comfy-cosy, listening to the goings-on in the house. 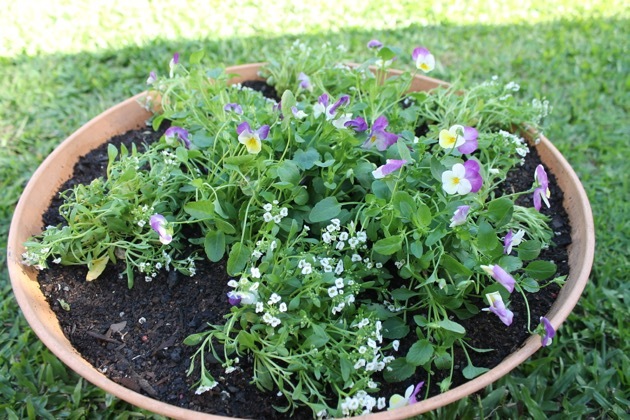 Every year I buy a tray of white alyssium and a tray of violas, this year they're mauve and yellow. On Sunday, I planted up half of them in a huge pot that will soon sit in the vegetable garden. The rest of the alyssium will be planted along the garden edges near the tomatoes and the rest of the violas will go in terracotta pots. 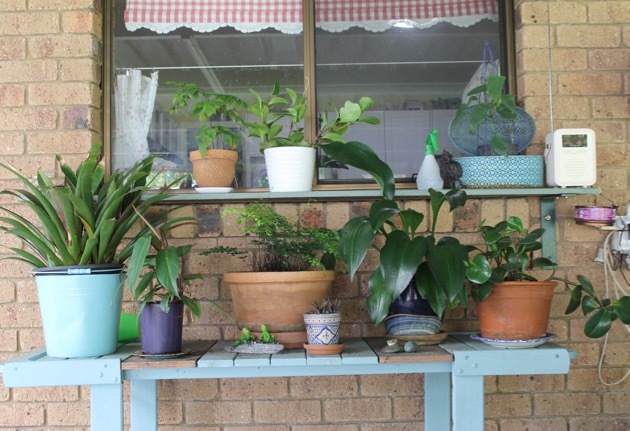 I also repotted ferns, brought out the pot plants that had been summering in the bush house and placed them on the back verandah. 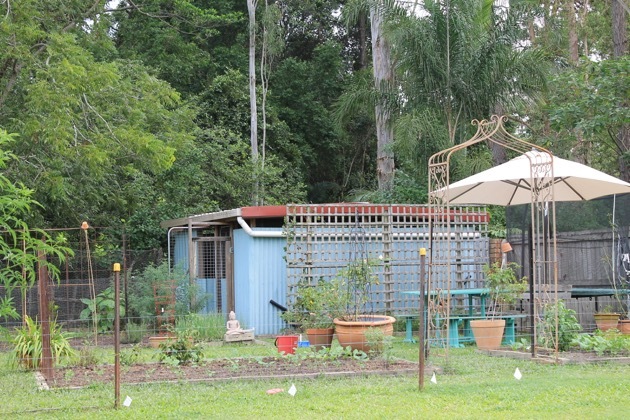 I put up trellises for the tomatoes and pruned. I still have things to do out there but there is no hurry now that the vegetables are planted. I can do the odds and ends when I have time for them. 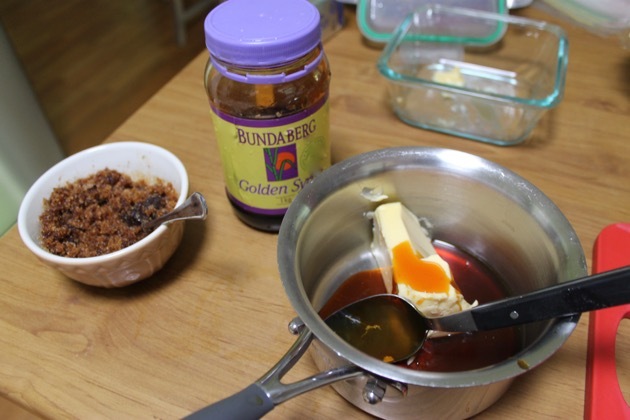 When I organised my ingredients for the biscuits, I realised I'd run out of brown sugar. Luckily I had molasses and white sugar in the cupboard so I made up some brown sugar (in the small bowl) and went ahead with the biscuits. 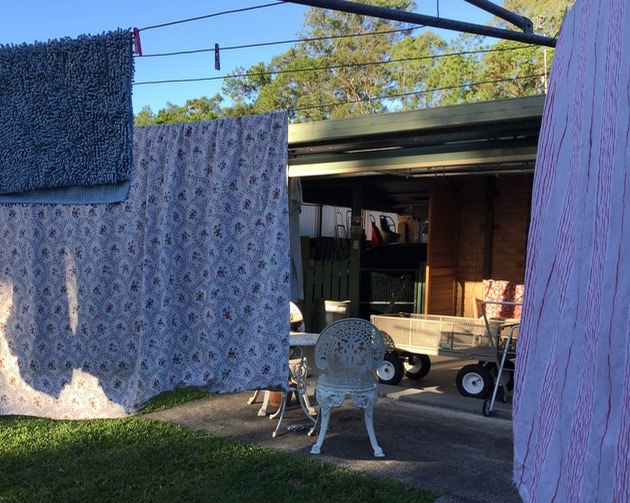 Inside the house I made a batch of Anzac biscuits, sorted out the ironing, organised some yarn and thought about cleaning the bathrooms. That cleaning will be done this morning. I'll get as much as possible done today and tomorrow because my sister, Tricia, is coming for a visit on Wednesday. She'll stay about three weeks so we'll probably be out more than normal when she's here. 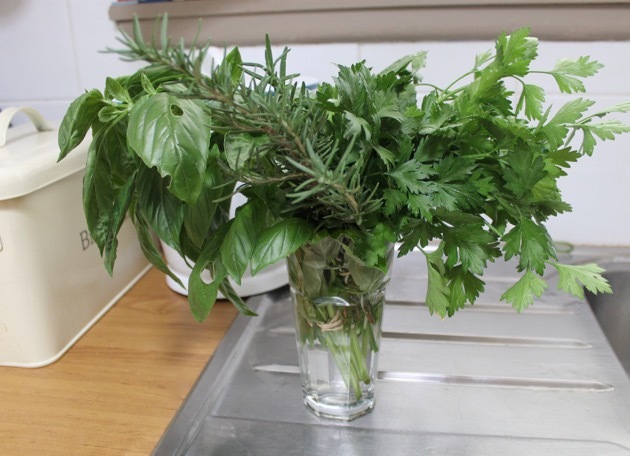 I stayed in the garden till around 3pm, Sunny was due back at 4.30pm to pickup Jamie, so I picked her a bunch of fresh herbs and came inside. Then I talked Hanno into helping me reposition the bed in the room Tricia will sleep in. It will give her better access to the window and light switches. 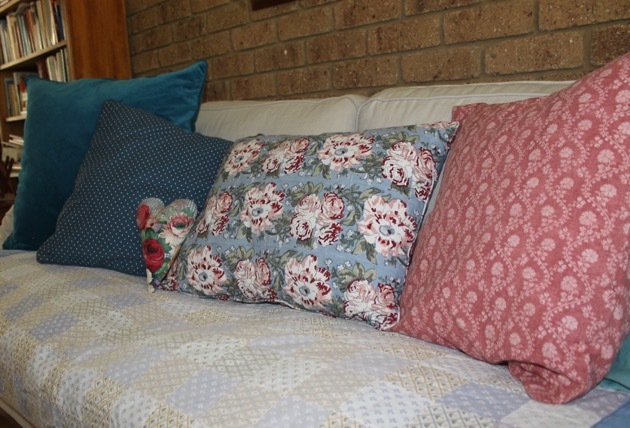 I'll make up her bed today and do a bit more in the garden. The next few days will be busy. A few years ago I read about toast cafes popping up in a few places. I'm not sure if they're still there but back then it was supposedly a new way of having a "cool" breakfast and then carrying on that toasty goodness through the day. I thought it was bizarre, especially when I read that a slice of that new "cool" toast, with various toppings, cost around $10. I understood the longing for toast but for me, toast was a self-made domestic refreshment, a comfort food. But then I realised that being out in the world is often the time when we need comforting and if toast can calm you down and strengthen you while you're out earning a quid, then so be it. Toast to the rescue. 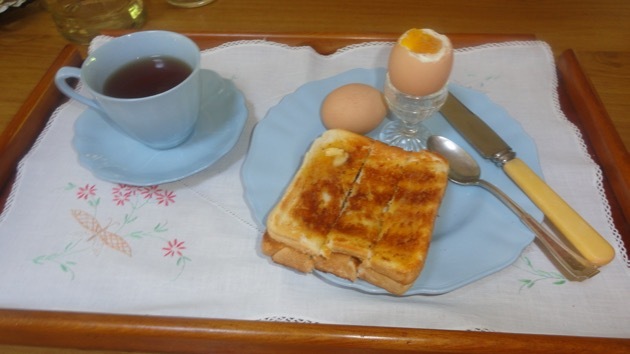 A favourite breakfast here - black tea, toast soldiers and boiled eggs. However, I do think toast is part of home. It's a crutch on those mornings when you don't feel like getting up, it's a go-to when you've had a bad day and don't feel like cooking, it's one of those foods that makes you think life is not so bad after all, it's a reminder of our mums, a tender buttery hug. 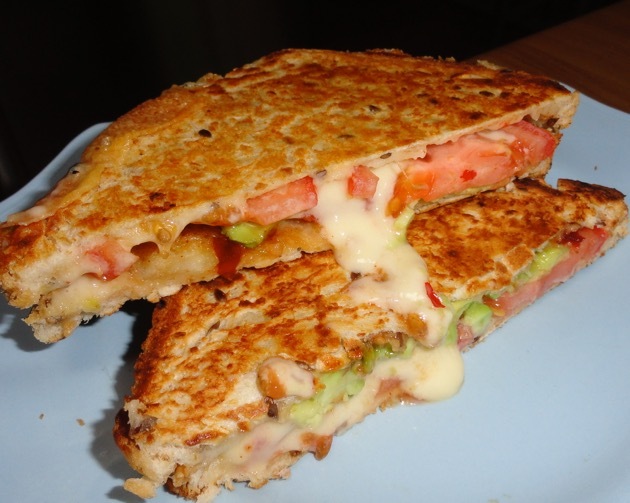 A favourite toasted sandwich - tomato, homemade cheese, avocado and chilli sauce. Following is a list of my favourite toast snacks. Most of them are very old fashioned. I make no apologies for that even though some may think I should update my palate. (I've been told that in an email.) 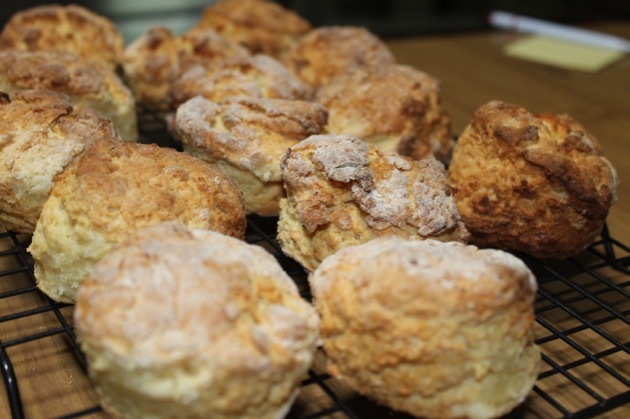 You could quite easily enjoy any of these for breakfast, lunch or tea, or even a late night supper. There are no recipes, they are what they are and they should be made to the taste of the person who will eat the toast. The specifics will vary: butter or margarine, light or dark brown, white or wholemeal, but either way, they're always satisfying and delicious. What are your favourite toastie treats? I'm sure you have one or two. I'm hoping to discover a new favourite to add to my list. Dear readers, if you wish to leave a comment, and I would like to hear from you, just click on the text bubble in the Share section below this post. That will take you to the comments. 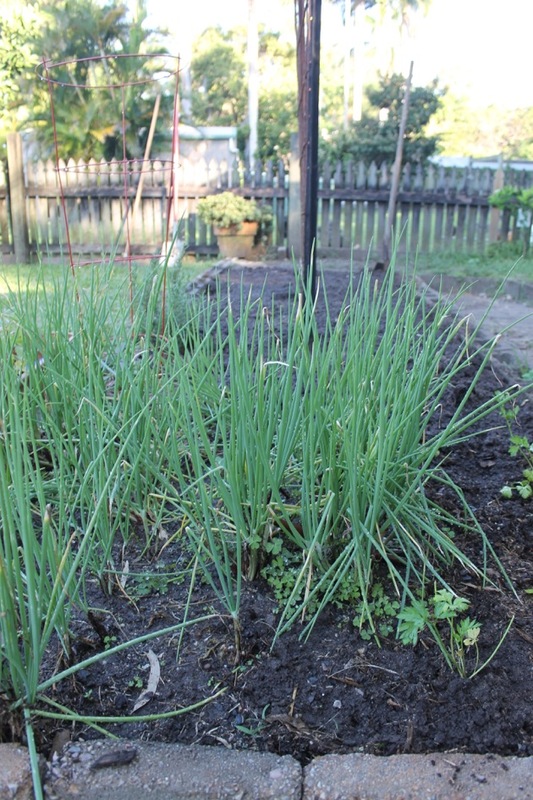 Nothing makes as much sense to me as growing food in the backyard. Hanno has been working hard over the past week digging, adding manures, compost, blood and bone to the soil and sifting out the ever-present nut grass. Finally, after all his work, the garden was planted up yesterday. 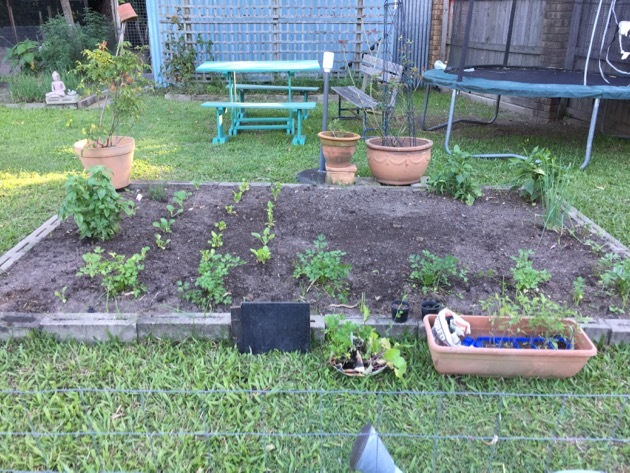 No doubt the garden will change a lot over the weeks and months that follow but at the moment we're growing parsley, sage, basil, thyme, bay, oregano, mint, Welsh onions, green onions, capsicums/peppers, curly kale, silver beet/chard, bok choy, lettuce, turnips, and two tomato types: the French heirloom Rouge de Marmande and two cocktail tomatoes, one red, one yellow. That will see us through the rest of autumn, winter and well into spring. We'll buy our cabbages, broccoli, Brussel sprouts and cauliflower as well as root vegetables - potatoes, sweet potatoes, carrots, parsnips and swedes. We're growing turnips. They're so easy to grow it's ridiculous not to. Sweet peas have been planted to grow over the arch at the entrance to the garden and when they finish, I'll use that space for cucumbers. BTW, we have planted about 20 parsley plants so if you're short of parsley one day, you know where to find some. After the lush overfull vegetable gardens we used to grow here, this one is more restrained, it's smaller, less showy and just right for our energy levels now. And I think we've got the mix of plants right for us too. 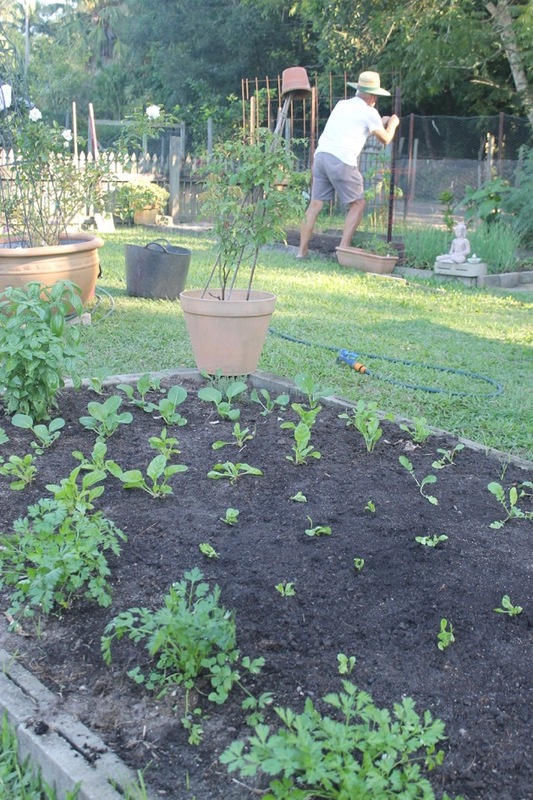 We grow herbs because paying $15 every week for fresh herbs is crazy and I want freshness and taste - herbs that are cut, added to our food and eaten within the hour. 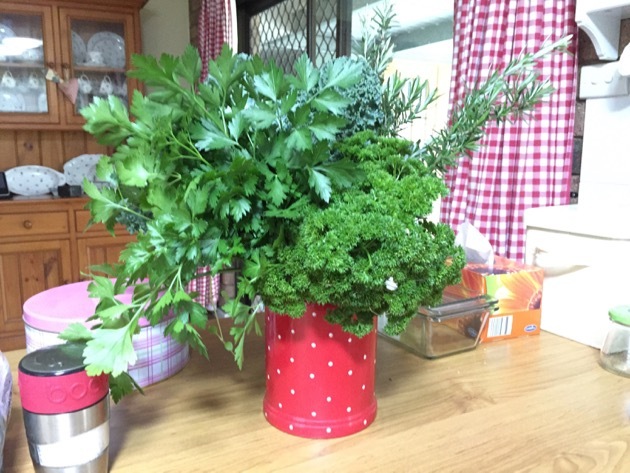 Supermarket herbs that are tasteless and go limp within a day or two are a waste of time and money. We have to grow tomatoes - it's an interesting challenge to grow tasty tomatoes and it keeps us slower gardeners on our toes. I've never eaten a supermarket tomato that comes close to the excellent taste of a just picked heirloom tomato still warm from the sun. And we grow leaves because we can - they're so easy and as long as we give them enough water, they usually look after themselves. 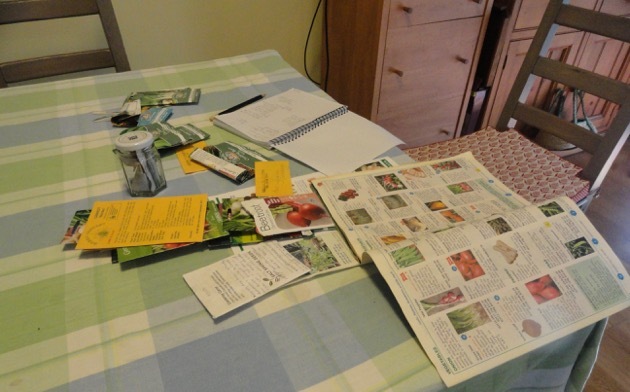 Overall, we've chosen the things we can grow easily as well as a couple of things that will keep us interested. 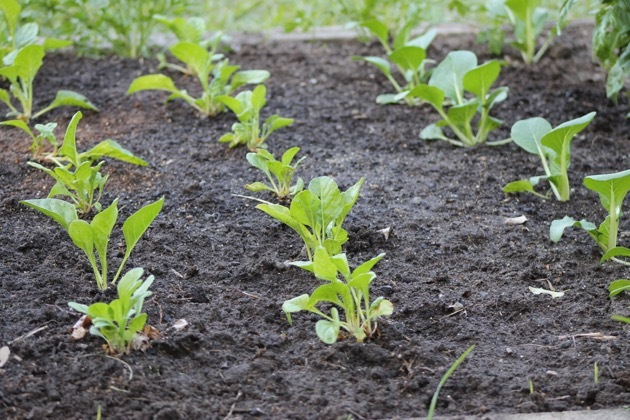 But the production of organic food isn't the only benefit of gardening. 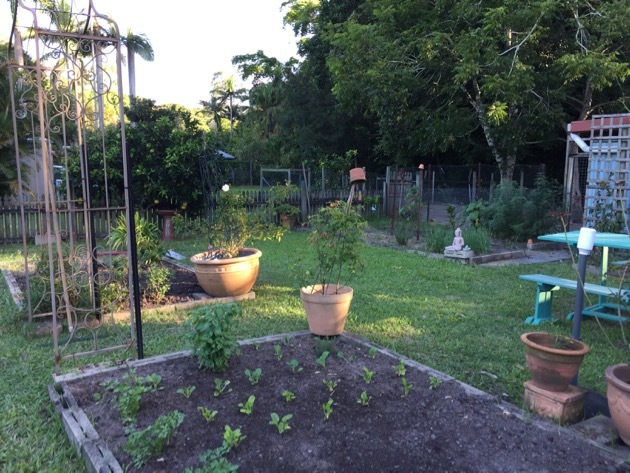 It creates a feeling of independence and self-reliance and when I go outside early in the morning to let the chickens out, or when I wander around picking herbs for lunch, or decide to sit in the cooling fresh air in the late afternoon, this garden of ours wraps itself around me and I know there is no other place I'd rather be. Further off in the distance I see the edge of a pine forest and a rain forest, I see homing pigeons out for their afternoon flight, butterflies float through, bees buzz and I listen to the sounds of the neighbourhood around me. I feel protected here, I look at the seedlings just planted and feel pleased that we've put in the work, yet again, that will provide us with good food in the weeks ahead. As I walk back towards the house, I make a mental note to move this and that, to clip that rose back in the morning, to give the orange trees more seaweed tomorrow. There's always something to do in the vegetable garden and the work we do there rewards us just as much as the food does. It's a wonderful network to be part of. We raise plants to harvest from seeds and seedlings, we become part of daily life in the backyard, we assimilate with the birds and animals out there, we breathe fresh air, stretch our muscles, we recognise patterns, carry out processes, improve our skills and end up carrying the freshest produce into the house. And we feel lucky being able to do it. 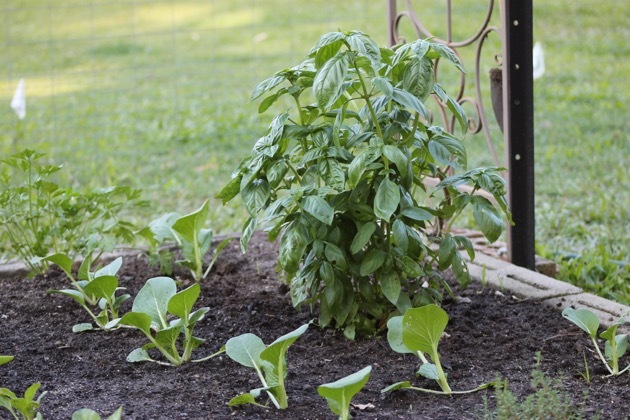 Are you planting vegetables, herbs or fruit this year? Are you adding anything new or going with your favourites? 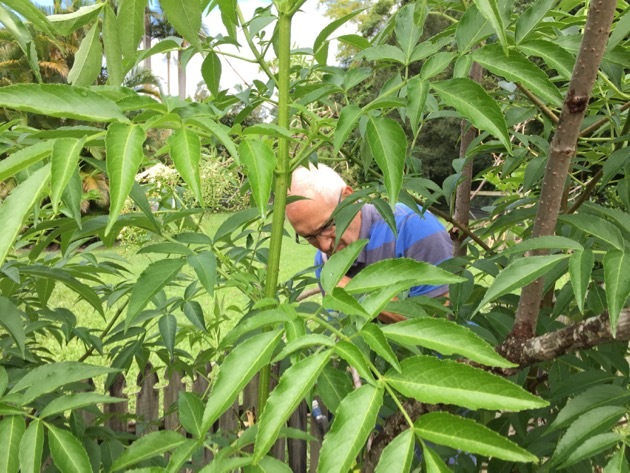 I am not an expert pruner by any means but I do know a few of the basics and they're enough to keep our garden in good shape most of the time. 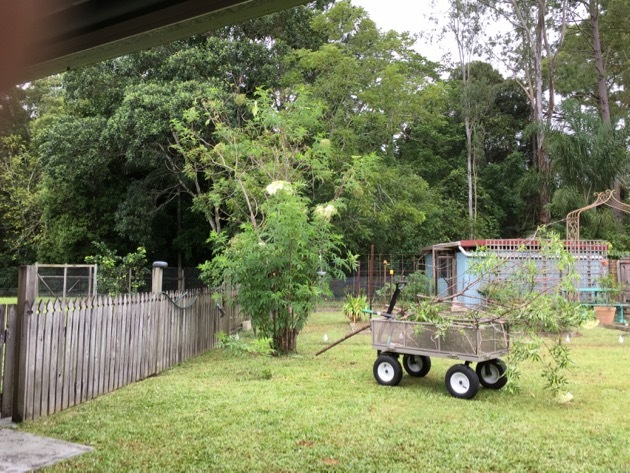 Hanno and I have just pruned the elderberry tree, it's got borers in it but we want to keep it going until the followup tree is mature enough to produce flowers and berries. 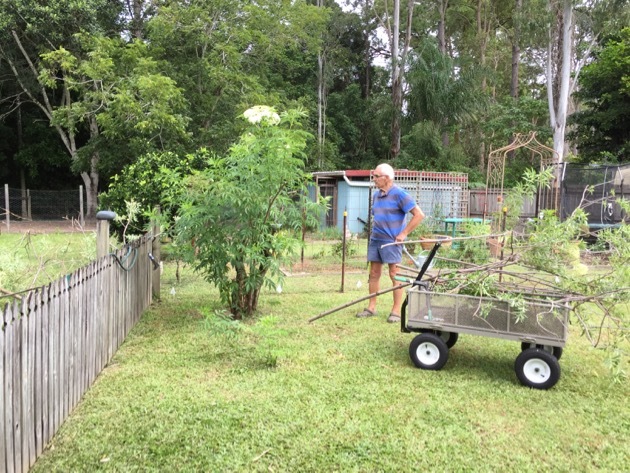 While I was trimming the elder, I realised I've rarely written about pruning and yet it's such a vital part of a healthy productive garden. 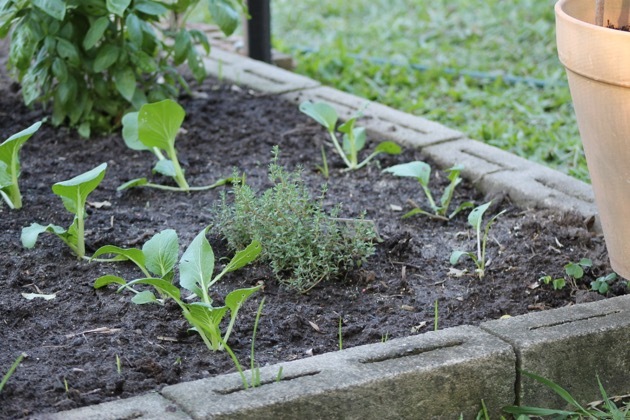 When you first start gardening you don't want to cut anything unless you're going to eat it but after a couple of seasons you realise that pruning will stimulate flowers and leaf growth and help you organise and manage your garden. It's a vital part of garden maintenance. Pruning is not an every week task but if you can do some hard pruning once or twice a year and some tip pruning occasionally, your garden will benefit from it. A few plants don't like to be pruned so I encourage you to know what you're growing in your own garden, research its growing habits and use that knowledge to decide whether to prune that plant or not. 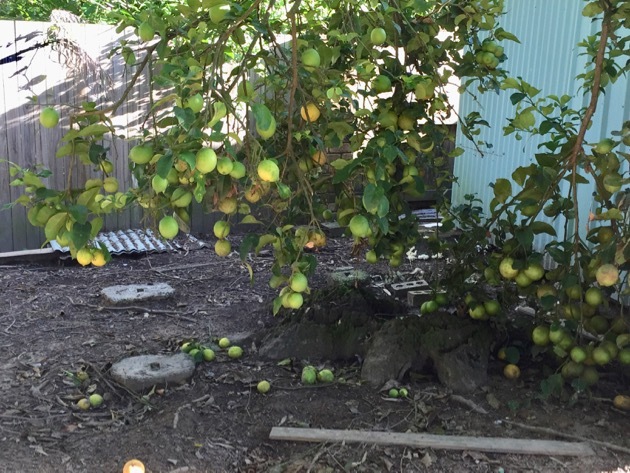 The photos below are of our lemon tree, a Eureka. We did a severe prune on our 15 year old tree (above) to cut out borer and diseased growth. As you can see we really went to town on it in 2015. The photos further down are the same tree today. It's only just started to grow out on the front of the tree. The back is absolutely laden with lemons. We also have a two year old tree that's full of fruit now. 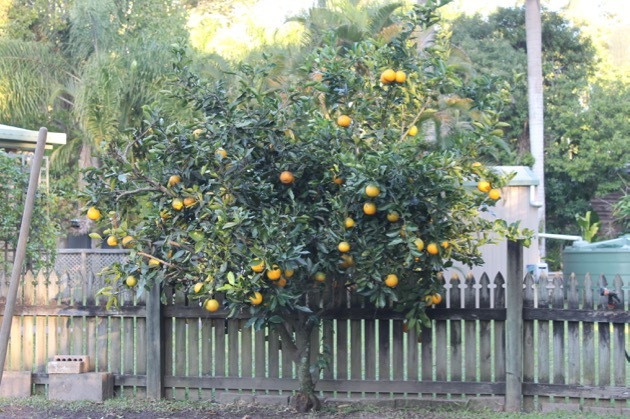 The lemon tree after drastic pruning. You need to be careful when you prune back as hard as this. The same tree 18 months later. Above, you can see the new grown on the left. This has just started in the past month or two - over a year after we pruned the tree. 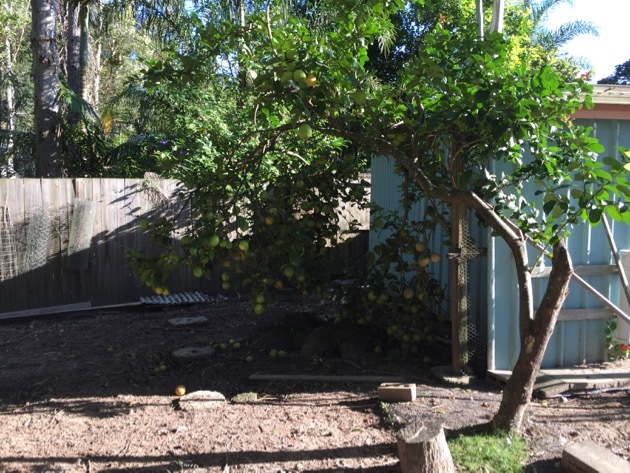 Soon I will pick these lemons and prune this part of the tree to shape it properly. 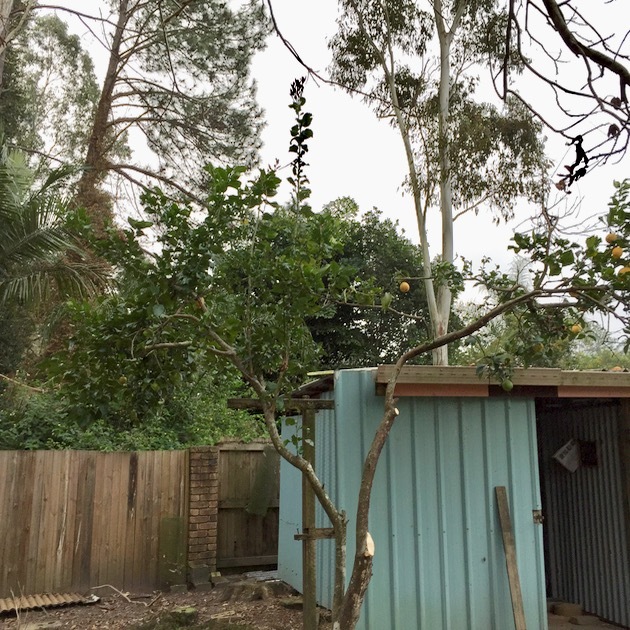 If you look at our orange tree above, you'll see a small sucker growing from below the graft. These are always cut off. 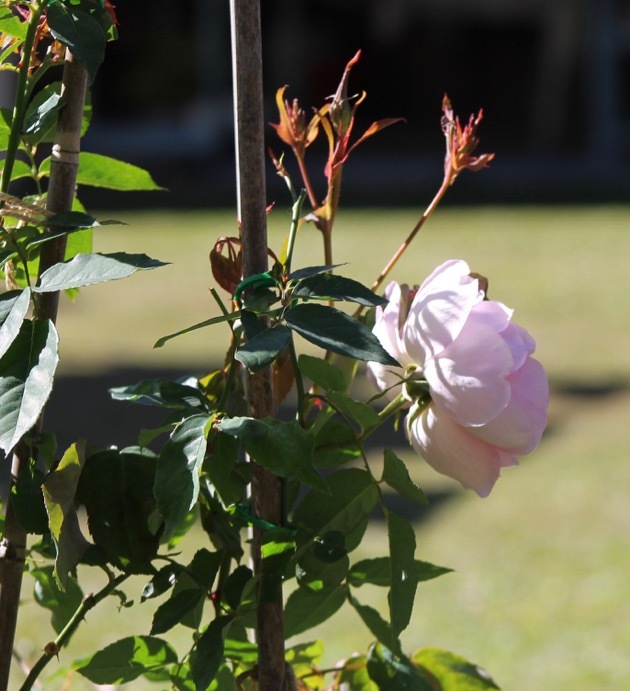 Below: if you prune your roses properly, you'll grow better quality flowers. Wear protective clothing and gloves when you prune. Some plants with white milky sap are toxic and you don't want it on your skin. Cover up! List of potential culprits. Always use clean, sharp secateurs, clippers, knives, shears and axes. Clean your tools after pruning by scraping off any sap or tissue, scrub with dish liquid with a scrubber or brush, rinse, dry and leave out in the air to completely dry off. If you won't use the tools again for a while, rub with vegetable oil to prevent rusting. 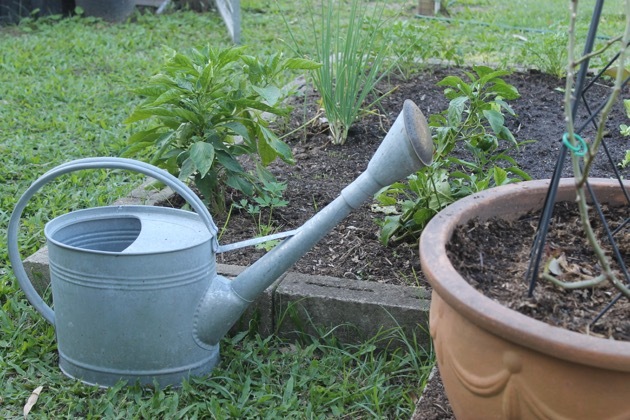 Tools are capable of transferring disease from one plant to the next, so if you have a lot of pruning to do, get a small container of bleach to clean your tools between plants. This is especially important if you have diseased plants and you're cutting off the affected bits. If you're growing grafted trees, often these are fruit trees or rose bushes, always prune off the shoots growing below the graft. 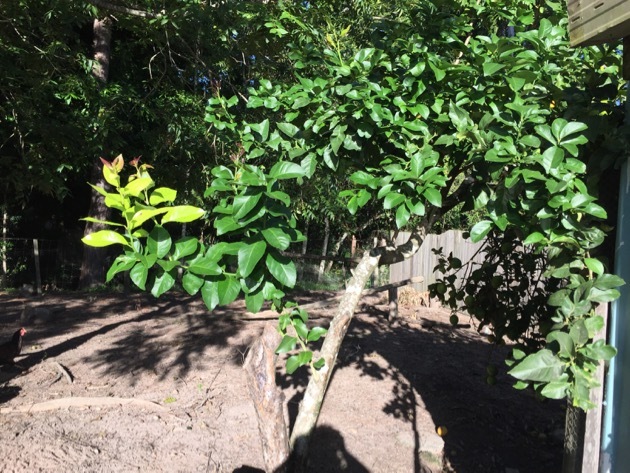 The part of the tree/bush below the graft is only useful as root stock so any shoots growing in that section below the graft won't be the same as the fruit you're growing above the graft. Always prune off damaged foliage, stems and branches. Damage might be from frost, sun burn, disease, storm damage, misshapen growth or age. Halfway through pruning the elderberry tree. I had to call Hanno in to cut the thicker branches and finish it off. 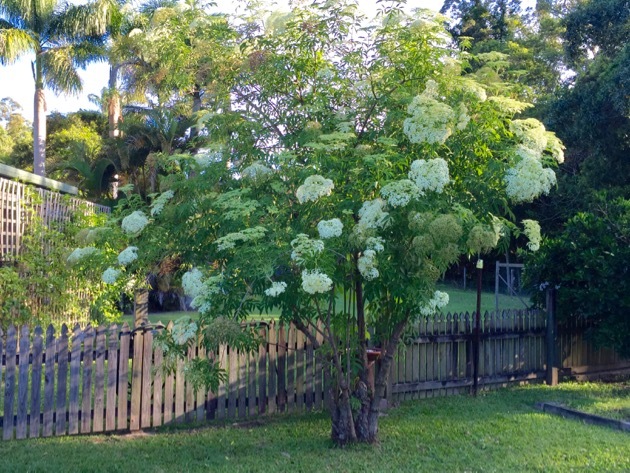 This is the same elder tree about three months after last year's pruning. When you start your pruning session, stand back and look at the plant. What do you want to do? If you want to maintain a certain height, decide on what height you want and go from there. Remember to prune for shape as well as height. If you're doing general maintenance cut out any diseased branches/stems, then look for branches/stems that are crossing over others or those that are growing into the middle of the plant. Cut all of them off as close to the main branch/stem as you can. Learn what nodes look like. Nodes look like a ring around the stem and it is where the shoots will emerge. If you want to shape the plant, cut just above a node. so that the new shoot will grow just below your cut. Cutting just above a node will stimulate that node to produce new growth. You can see some nodes in this photo - they are the parts of the plant where new shoots grow and new branches form. Before the new growth, nodes are just a horizontal line across the stem. You cut just above the node when you prune. Don't be afraid to prune. Cut out weak growth and it will reward you with a stronger plant, larger flowers and fruit. 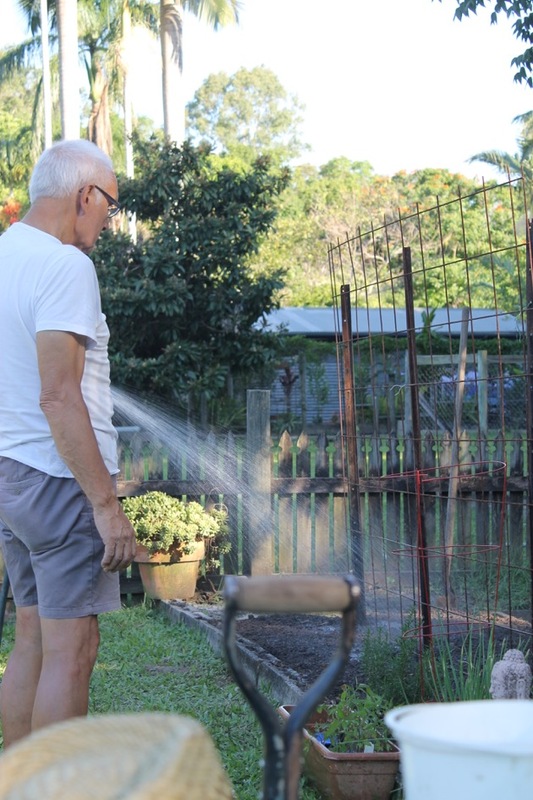 When you finish pruning, give the plant a good drink and the following day, fertilise it. If you've done very hard pruning, instead of fertilising, give the plant a good drink of seaweed concentrate made up according to the directions on the bottle. 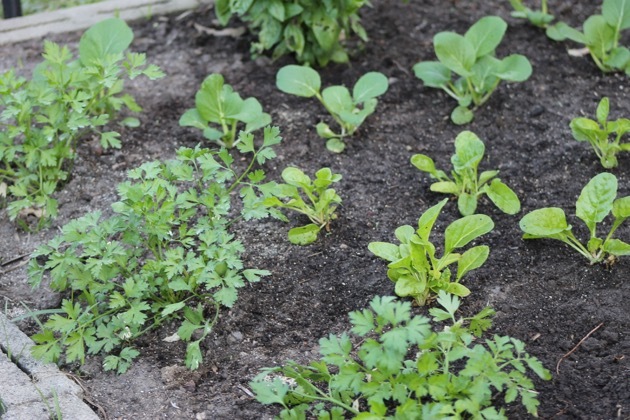 You will notice a difference in your garden when you start pruning. The challenge then is to work out your annual pruning routine and to learn about the plants you have and when is the best time to prune what's in your garden. A few ladies asked for my recipe for tomato soup. 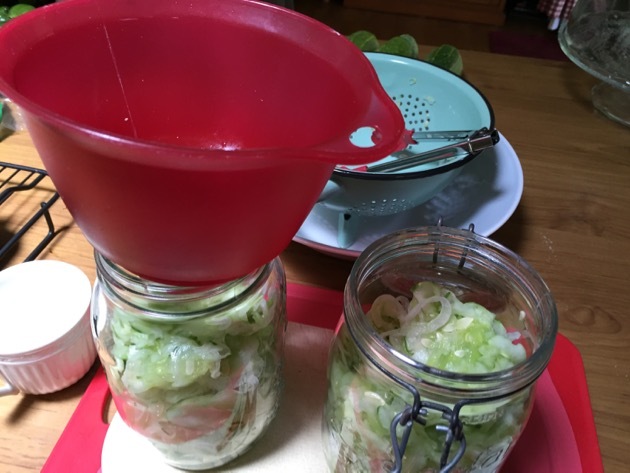 It's one of my quick soups and being so easy to prepare it's a very handy recipe to have on hand to use for a wide range of vegetables. The one recipe will help you prepare a lot of different soups. These are my go-to meal when I don't have much time or when we've been out and instead of buying takeaway food, I make up a quick soup and have it on the table in 30 minutes. The prep time is about five minutes, the rest is cooking time. 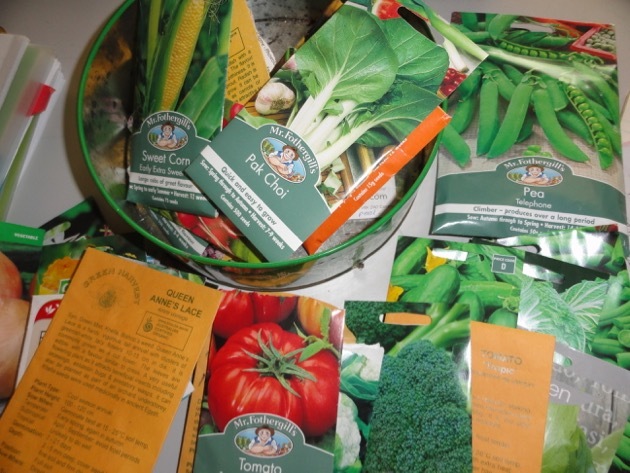 This basic process can be used for vegetables such as tomatoes, capsicums/peppers, celery, carrots, pumpkin, sweet potato, spinach/chard/silver beet/Asian greens, peas, beans, cauliflower, broccoli, mushrooms, zucchini/courgettes. Using the trio of onion, carrots and celery - the flavour base of many European recipes, you can build a complex flavour in even a simple soup that doesn't necessarily need homemade stock. You can use stock if you have some on hand, but it's not absolutely necessary. When I don't have stock, I finish off with a little cream, but that is optional, it's just a flavour enhancer. 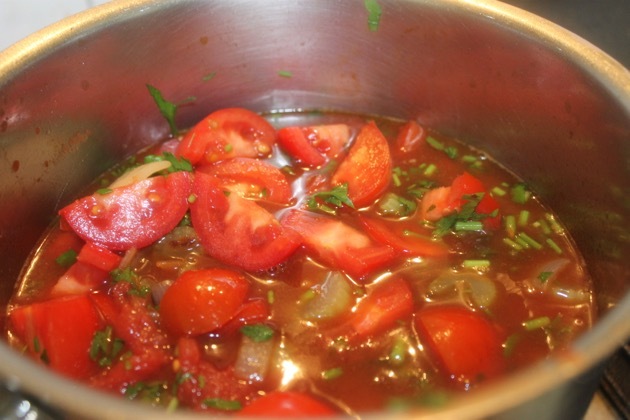 The following recipe makes enough tomato soup for 4 serves. Add the herbs you like - I used a couple of sprigs of rosemary, dried oregano and some Italian thyme. 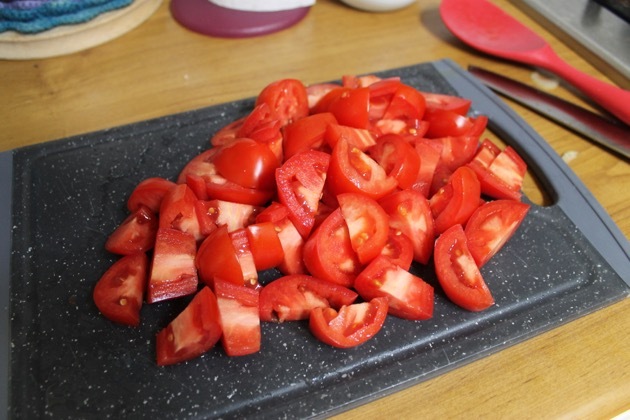 After you've roughly chopped the above, add it to a saucepan with 1.5 litres of water or stock. 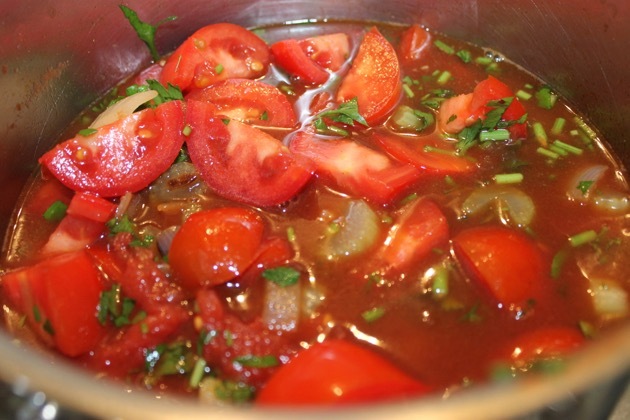 Bring to the boil and simmer until all the vegetables have softened. 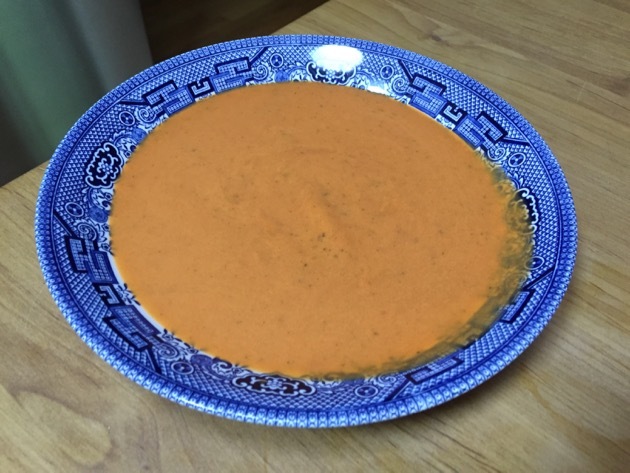 Puree the vegetables using a stick blender, then taste, season or add cream if necessary, and serve. It will taste even better the following day. 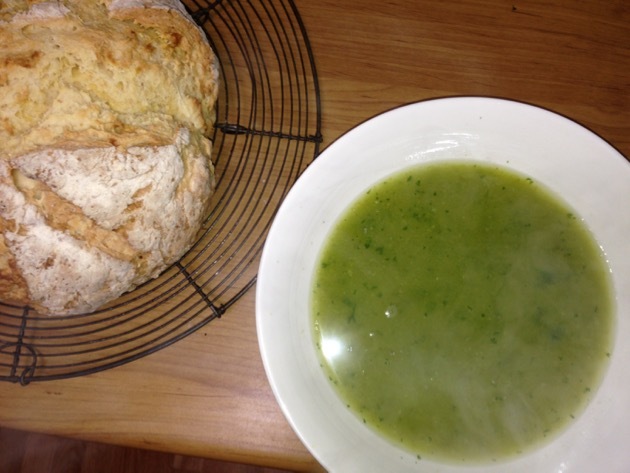 Fresh green pea and pods soup. 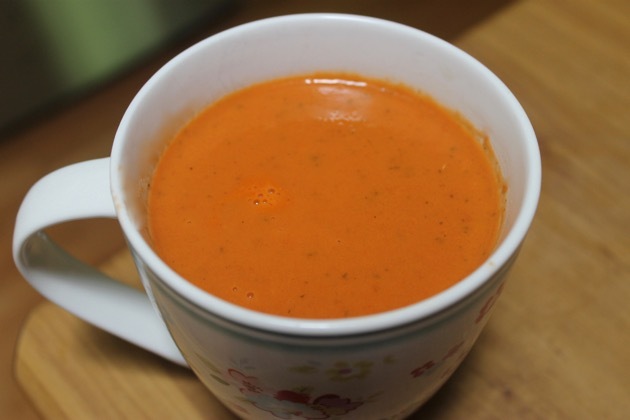 Generally, to make up any of these soups, use your flavour base of chopped onion, celery and carrot with the water or stock, and instead of using tomato as your main flavour, use whatever you have on hand. 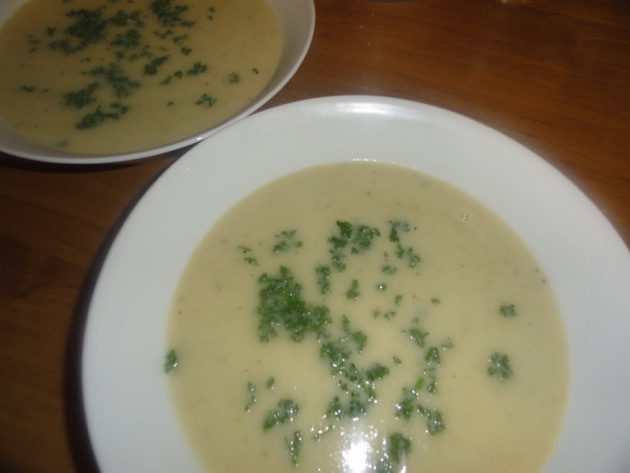 Cook until the vegetables are soft, puree with a stick blender, taste, season if necessary, add cream if needed and serve. 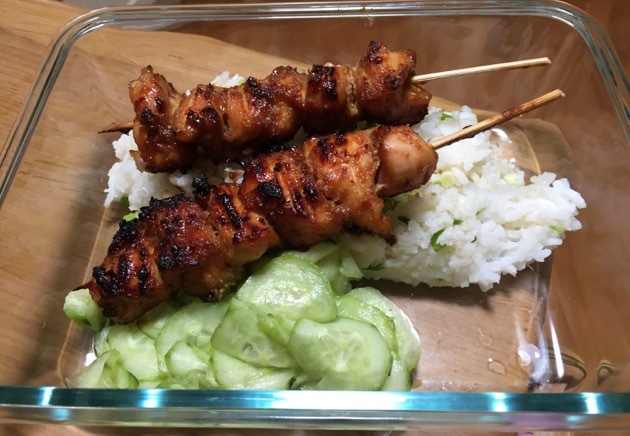 It's a filling, healthy meal that doesn't take much time to prepare and won't break the bank. You can combine different vegetables to create different tastes - sweet potato, potato and pumpkin is a real hit here. 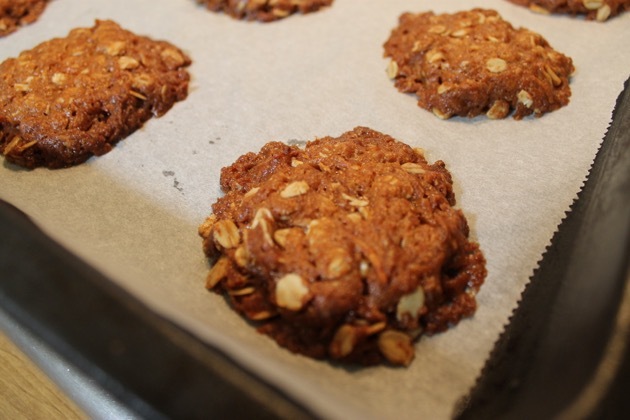 I hope you try this then write a few notes about it to tuck into your favourite cookbook. It will serve you well over the years. I wish you could see my home. It's like heaven here now. After the cyclone, we had a couple of days of high humidity and rain and now, well now, my friends, it is a paradise. I was sitting outside with Hanno earlier, it was coolish at around 20C degrees, a slight breeze was rustling autumn leaves and new green shoots are coming up everywhere. We had morning tea there later and I could not imagine being anywhere else or wanting to move an inch. There is so much to love in Autumn. Hanno had a tooth out during the week so we're on soft food for the next month while the hole heals over. He's on Warfarin so we have to be very careful. I've been making quick soups all week - one pot fed us for two days and I made three different soups. Sweet potato and pumpkin, mushroom and leek and finally herby tomato. There were no cans and no preservatives, just real food cooked as we like it. Today we're progressing onto "soft food". The soft food special will be savoury mince with vegetables. I'm cooking cabbage, onion, capsicum, carrots and celery but it will all be run through the food processor for ten seconds and then cooked with the meat. It sounds pretty grim but I'm sure it will taste good. On Saturday we celebrated Jamie's sixth birthday at an activity centre over on the coast. Along with Kerry, Sunny and Jamie there were Sarndra, Alex, Eve, Hanno and I, and about 12 of Jamie's friends. 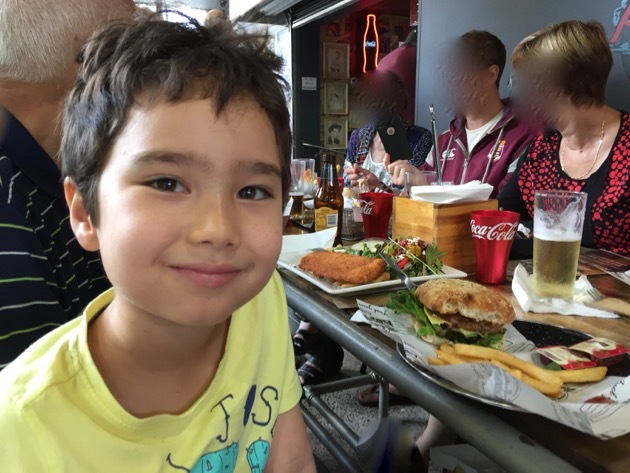 The kids played dodge ball and jumped on the ground-level trampolines to build up their appetites and then had pizza, slushies, drinks, Minecraft cake and lollies. I was going to show you the Minecraft cake but I forgot to take a photo when I finished it and all the photos I took at the party had children I don't know in them, and I don't want to show them here without their parents' permission. The cake was chocolate with bright green (ack!) cream cheese frosting and chocolate icing. It was cut into large squares with two levels and steps leading up to the levels. Minecraft figures stood on the top level with a wolf on the steps. It wasn't my best work but I think the kids enjoyed it. My sister Tricia is coming up for a visit at the end of the month. We haven't seen her for a year so we're looking forward to the visit. While she's here I plan on having a big family BBQ and will try to get the whole family here together. That can be quite a feat of organising - four families in one place for a meal, it doesn't sound difficult but it's a challenge. Yes, I know I'm spoiling her :- ). I made an extra bed for Gracie in my work room. She sleeps in there until I go to bed and then wanders out and spends the rest of the night in her bed in the lounge room. We finally got our invisible dog fence up and connected and will start Gracie's training tomorrow. I hope we can get her to the point of not needing the collar but we'll have to play it by ear and see how she goes. She's a very intelligent dog so I have my fingers crossed the training will go well. It looks like a week at home here again. They're my favourite weeks, with nothing to do but potter around our home, doing this and that. We did a big shop last week so I hope to make do with what's here and not go out the gate at all. During the week we'll continue with Gracie's training, I'll be working in the garden and I'm going to start work on a baby doll in a sleeping basket. Eve will be two soon and she likes bags and baskets. I think a baby doll wrapped up in a fluffy knitted blanket and quilt, sleeping in a basket she can carry around, might hit the spot with her. What are your plans for the week?